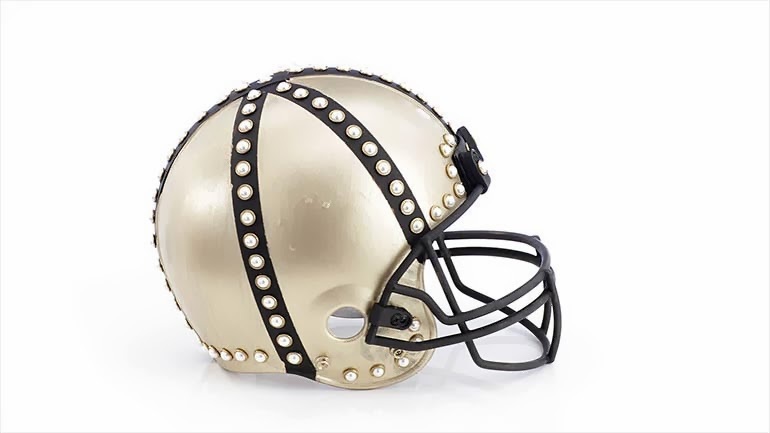 I love when my two passions, fashion and football come together......talk about "stylish gameday"! 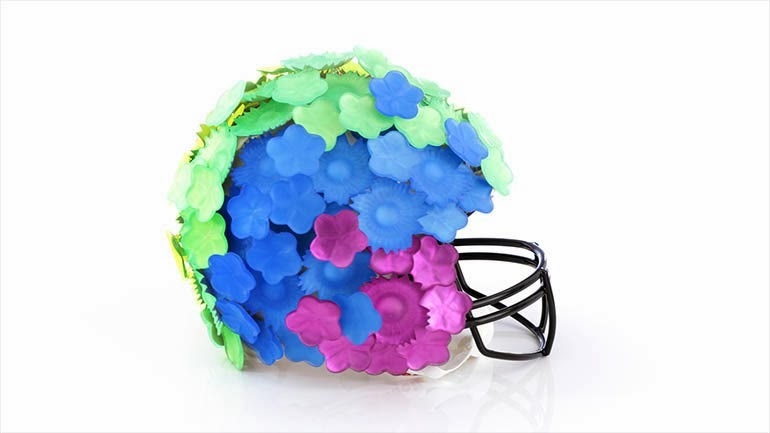 Check out these football helmets! 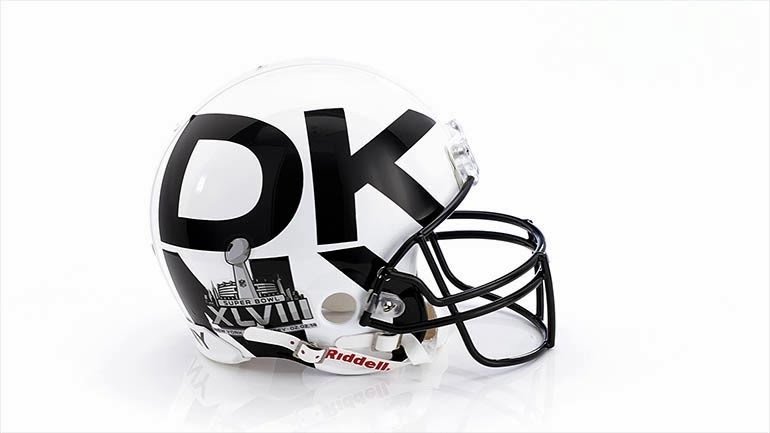 The Council of Fashion Designers of America formed a team of top designers - DKNY, Diane von Furstenberg, Nicole Miller, to name a few - to dream up these fantastical fantasy helmets for Super Bowl. 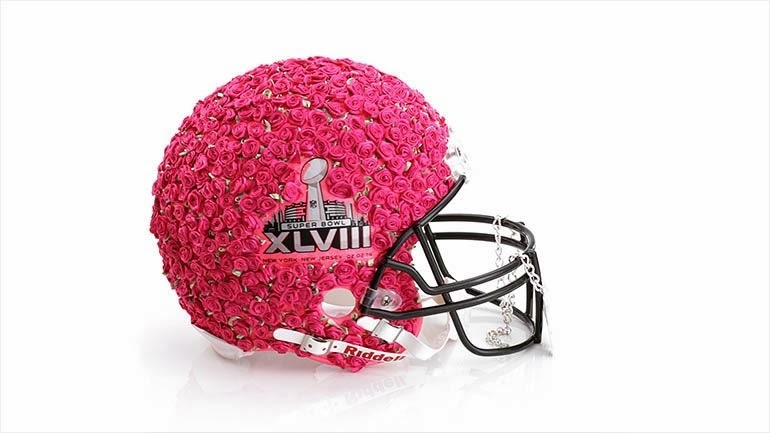 See all 48 helmets here. 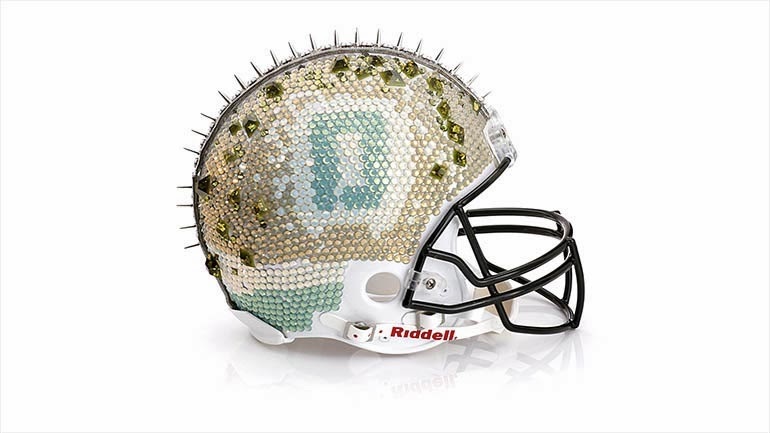 They are all up for auction and proceeds benefit the NFL Foundation. Which one is your favorite? 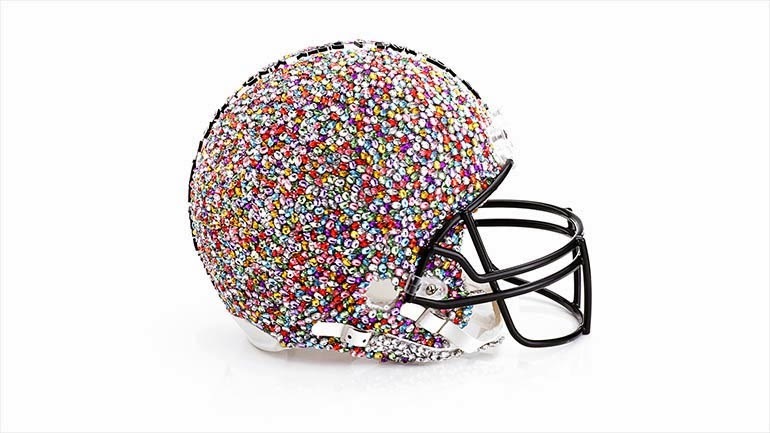 I love the bedazzled multicolored helmet from Alice + Olivia. 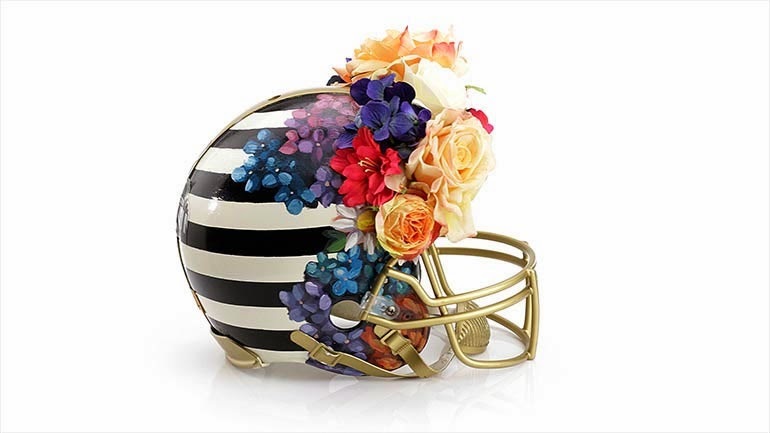 The Rachel Zoe helmet is currently at $398.